Every phone looks like an onyx bar of soap these days. But life leaves us well worn and aged—what if phones were designed to represent this? This cell phone exhibits a deliberately unfinished finish. There is tension between its roughness and smooth realization, but isn't this a more honest representation of life and how we live it? No orange is a perfect sphere; no tree grows in a perfectly straight line. Why then do we seek perfections in our lives and in our objects? The rawphisticated phone plays with the real world of being and becoming and refuses to privilege either the unfinished or the perfected state. It comes out of your pocket dog-eared and wrinkled, like a business card would, or rough and chiseled, revealing the hand of the sculptor. Tarati, from the Sanskrit meaning, "he who passes through," gives us our words transient, transistor, and transition. It is a premodern link to our postmodern world of hypermobility, and it exposes the stupidity of even the smartest of today's smart phones. Without exceptions, they are solid, opaque, a barrier separating I and Thou rather than a permeable membrane connecting us. The Tarati cell phone restores the magic. It enables the caller to connect with others by passing the fingers through the keypad rather than jamming them into them. Tarati invites us, finally, to "reach out and touch someone" through the invisible magic of technology. It is, literally, poetry in motion, the first step toward realizing the promise of cellular technology. Technology, invisible as it is, is also magical. It is possible to penetrate the barrier of the physical. Consumer electronics nurture dreams of pure functionality, which mostly lead to products characterized by generic features and dull practicality. This need not be the case. Why not push practicality to a higher level? A practical mobile phone will have its buttons neatly aligned for maximum legibility. 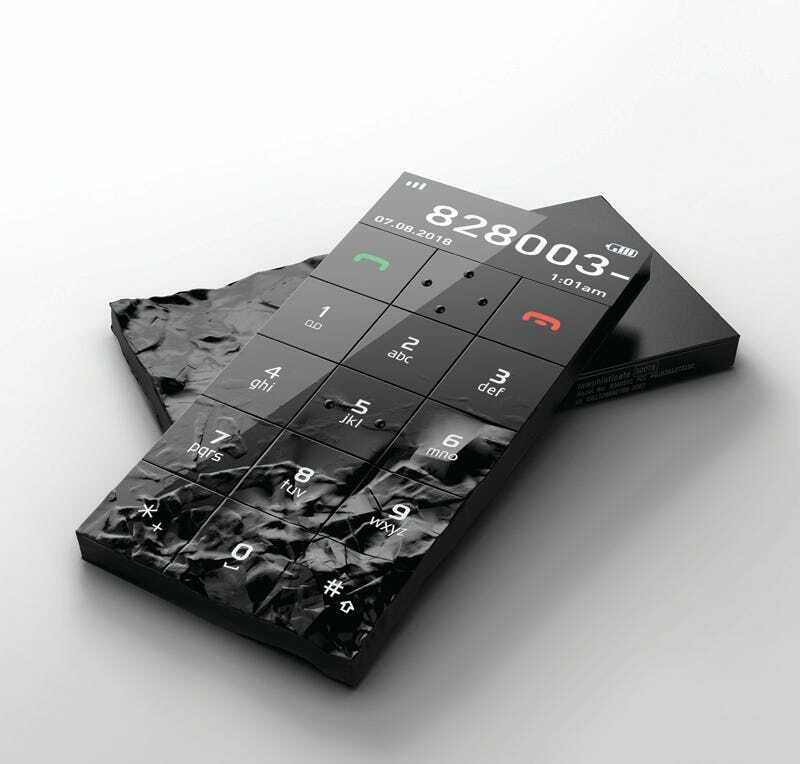 A superpractical phone will array them across every possible surface so that no matter which way you grab it – upside down, in the dark, in a panic or just plain drunk – you have immediate access to a dialing surface. The first surface touched becomes active and aglow, ready for you to dial, talk, or listen, while the others lock patiently in place. Branko Lukić is the originator and creator of the Nonobject design philosophy and founder of Nonobject studio in Palo Alto, California (www.nonobject.com), which provides design innovation solutions and strategic consulting services. He has won numerous awards and teaches in the Product Design Program at Stanford University. Barry Katz helped to articulate the philosophy of the Nonobject. He is Professor of Design at the California College of the Arts, Consulting Professor at Stanford University, and Fellow at IDEO, Inc. He is the author, with Tim Brown, of Change Design and Tectonic Shift: The Unstable History of Silicon Valley Design (forthcoming). Nonobject is available from Amazon.com. The Nonobject iPad App is available from iTunes.